Plus and Team plan users, as well as those on a free Team trial, can add custom cover and back pages to their storyboards. If you see an error after generating a PDF indicating that you have a malformed PDF cover or back page, a possible solution is to re-export the cover/back page, then upload it again. On Mac, you can do this with Preview by going to File > Export as PDF... in the menu. On Windows, you will need a PDF reader (such as the free Adobe Acrobat). Once you've downloaded that, just save out a new copy of your cover/end page and replace the existing file. How to add a custom cover/back page? You'll need to be on a Plus or Team plan (or a free trial). 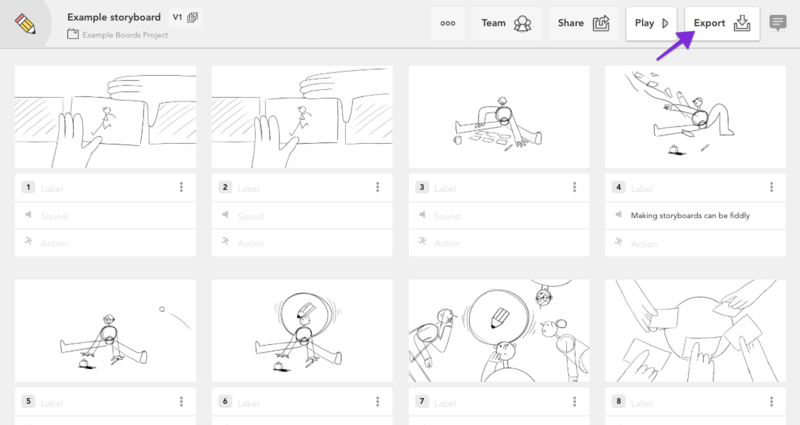 Open one of your storyboards. Click "Export" to access the PDF exporter. Click the "Front cover" tab on the left-hand side. Then, check the "Use custom front cover" option. 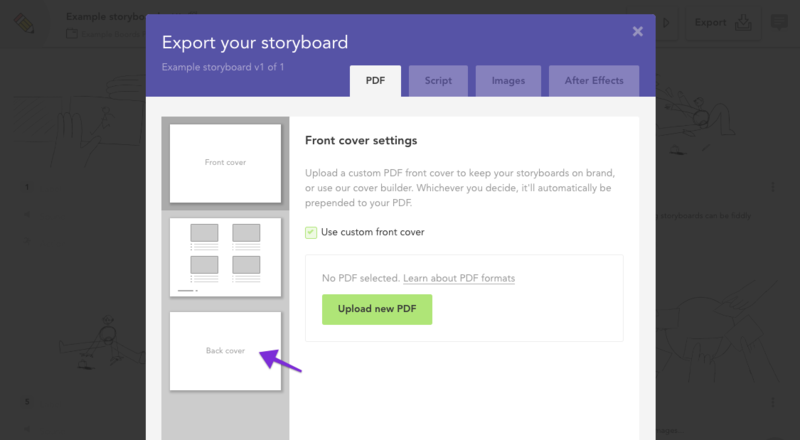 When you check this box, you'll see options to upload a PDF cover page and a back page. To upload a back page, just click the "Back cover" tab on the left-hand side. 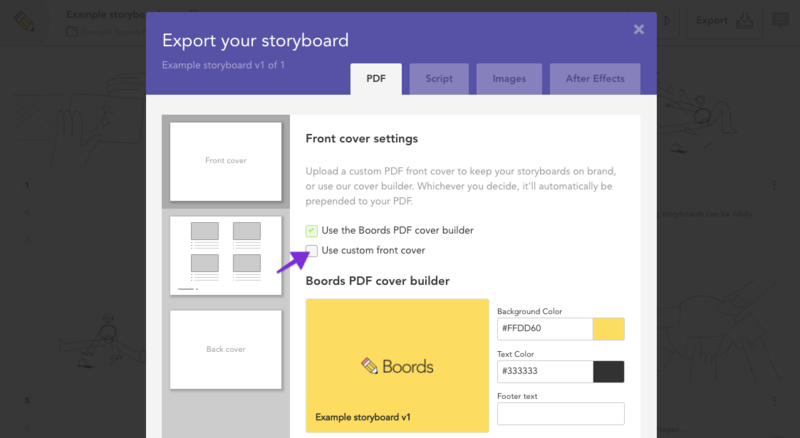 Both front covers and end pages are specific to each storyboard, so changing them for one storyboard won't change the covers for any of your other storyboards. To learn how to change the display of cover & end pages, take a look at this article.